When minutes count and your pet is sick, you want answers. 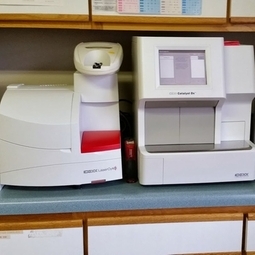 We have our own in house laboratory in which we can run most bloodwork, urine, fecals, cytology, and more. Many of the tests can be completed in a matter of minutes by our trained staff. If the test is a little more involved, we work closely with an outside lab that does our more complex lab work.